We all need the iPhone flashlight one time or another. What many people don’t know is that the flashlight brightness can be altered to suit your needs. However, this feature is only available to iPhone 6S or above. You have the choice between bright, medium and low light. Let me show you how to change flashlight brightness on iPhone. 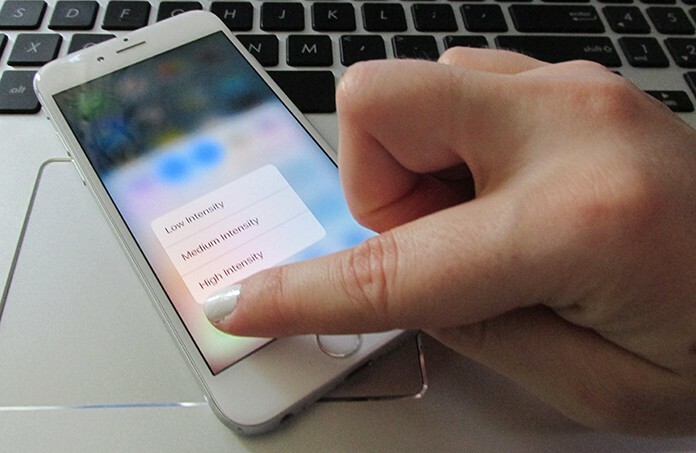 Only iPhones with 3D touch have this feature. This is because you need to press down firmly on the flashlight icon in the control center to access the menu. Try pressing harder on the icon in case the menu does not appear. It just needs a little practice. Swipe up from the bottom of the screen of your iPhone and firmly press down on the flashlight icon. Upon doing so, a menu shall appear giving you the option to choose among 3 choices: Bright Light, Medium Light or Low Light. Open Control Center by swiping up from the bottom of the iPhone’s screen. The flashlight icon is visible in the lower left-hand corner. You know that the flashlight is turned on and off by tapping on the icon. However, the flashlight menu is opened by pressing firmly on the icon. The setting of the brightness is chosen before you turn on the flashlight. The given choices are Low Light, Medium Light, and Bright Light. Does my iPhone Save my Flashlight Setting? Upon choosing a setting of brightness, your iPhone will remain at that same level of brightness till your iPhone is turned off. However, when your iPhone is rebooting it will go back to Bright Light. What is the default setting for iPhone flashlight brightness? The default setting for iPhone flashlight brightness is Bright Light. 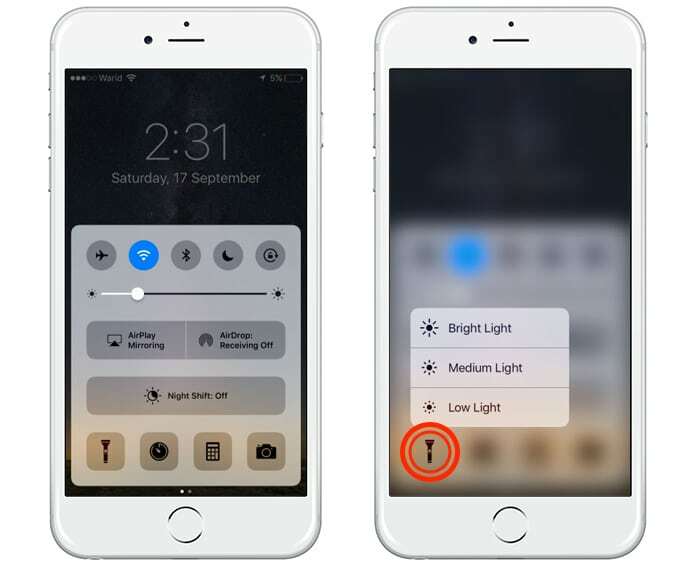 Share this fun and useful trick with friends on how to change the flashlight brightness of your iPhone. Previous articleApp May Slow Down Your iPhone – What Does This Means?